What is the $2 billion business sales tax? Governor Kate Brown has asked lawmakers to create a new $2 billion business tax. It will be a business “sales tax” because it will be taxing the total sales and total revenue of a business with some exceptions. Why are business taxes so destructive to businesses? By taxing total sales, lawmakers can tax businesses even if they aren’t making a profit. This allows lawmakers to rake in taxes even if we hit a severe recession or a small business is on the verge of bankruptcy. How much will it cost me in higher prices? A similar business sales tax (Measure 97, 2016) calculated their business sales tax would have raised the cost of groceries and other expenses by over $600 a year for an average family. Why is it like a hidden sales tax? Instead of a sales tax where people see it and pay it at point of purchase, a tax on business sales tax hits businesses on sales from the business end so the customer never sees the tax. These huge taxes always drive up prices, for which the customer blames the businesses for the high prices and not the tax. Are taxpayers not paying enough? Is Oregon under-funded? Currently, Oregon state government ranks as the fourth biggest state spending state in the nation per capita (Data from National Association of Budget Offices). That means 46 other states spend less than Oregon does per person. 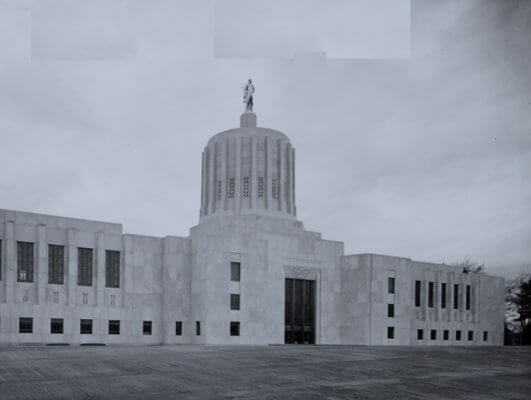 A $2 billion business sales tax will only make Oregon state government bigger, fatter, more wasteful, more bureaucratic and more addicted to newer taxes to keep up the spending spree. Didn’t just Oregon raise a billion in new taxes recently? Yes, in the past three years, Oregon lawmakers have approved over $2 billion in higher taxes. These taxes include a steep 10-cent gas taxes increase, a new car sales tax, a brand new payroll tax, a $1.3 Small Business Tax, a bike tax, a $330 million health care tax on people’s health care and over 580 fee increases. (HB 2017 in 2017, HB 4146 in 2017, SB 1528 in 2018, more). How come there are no details or bill number? At time of print, Lawmakers have not disclosed the details. Yet, Legislative Session is now getting nearer to the end where public input is limited and public notices are shorter. This means the final tax will likely be rushed out faster than normal legislation. How do business sales taxes cause double and triple taxation? When taxing business sales it is extremely difficult to avoid double and triple taxation of a single product. For instance, a pulp mill may sell a box of paper to a warehouse who sells it to a small office store who then sells it to a customer. That product is taxed three times and it is the smaller businesses that end up with higher costs. What are the different names of the tax? Taxing business sales is the main objective, but there are numerous ways of doing it. The final $2 billion business sales tax may end up being structured as a Gross Receipts Tax, Corporate activities Tax, Business Activity Tax, Value Added Tax or even modified Corporate Activities Tax. Different names for a tax that taxes business sales, whether they make a profit or not. – Please email, Tweet, Facebook Like, link this article. 3. Provide the operator the name of your Senator or provide them with your address so the operator can look them up. 4. Once the operator connects you to your Senators office, tell your senator that you oppose the $2 billion business sales tax? 5. After you call, you can call back and ask to speak to your State Representative and repeat the process. P.S. you can always look-up your lawmaker in advance by going to OregonLegislature.gov and look at the bottom right hand side. P.P.S Always be especially kind, respectful and courteous when calling. gross-receipts tax and value added tax. The Taxpayer Association of Oregon has been lowering your taxes for 20 years. We are Oregon’s largest non-profit chronicler and archiver of government waste, fraud and abuse. so we can reach more people and stop these excessive taxes. There are charitable donation and tax credit projects as well. Go to OregonWatchdog.com for more information.